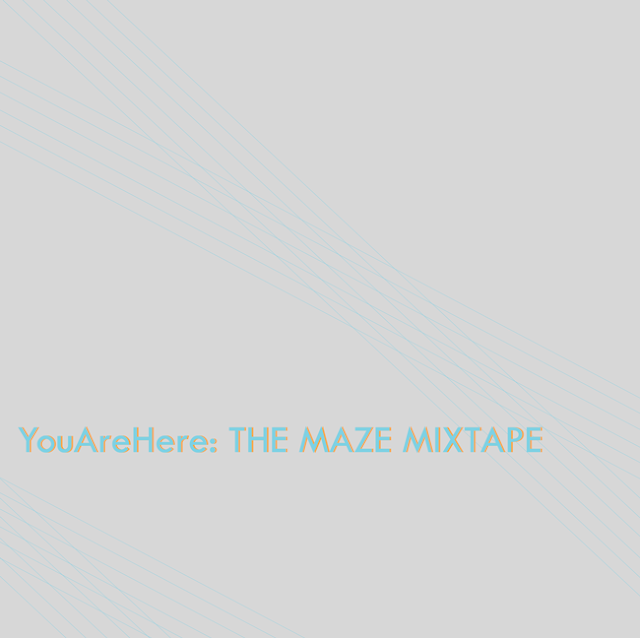 Coming in just over two weeks, YouAreHere: The Maze Mixtape is a 20-track cross section of musicians and bands playing in this year's You Are Here Festival aka The Maze. 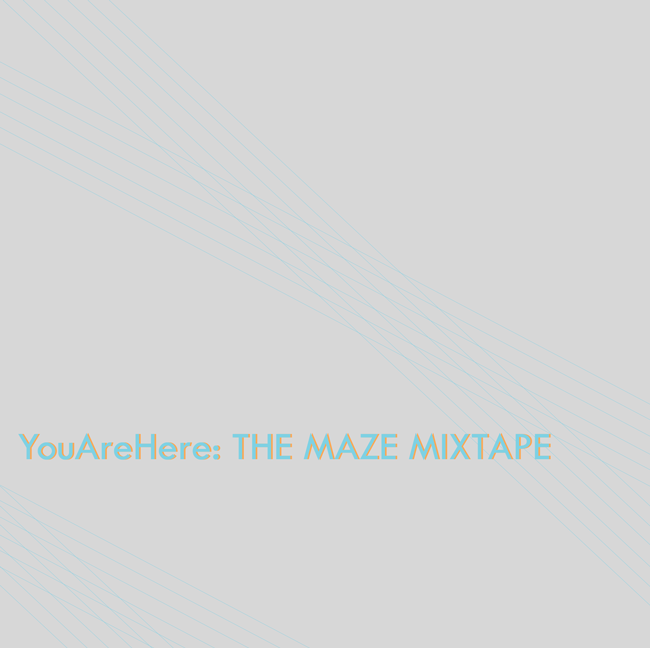 The Maze Mixtape is an incredible collection music from the constantly intersecting and sub-dividing worlds of avant-garde, hip-hop, experimental, indie, electronic, and noise. With many never-previously-released tracks and a prodigious, diverse list of contributors, this unique release stands as a sonic extension of the physical and aural experience of the Maze. Like the Maze itself, The Maze Mixtape's design is a disorienting combination of closed and open spaces created from multiple layers of overlapping line art, a celebration of the possible positive qualities of negative space when carried into the third dimension. The design will be composed of three separate components in addition to the all-clear tape shell: the insert, the A-side label, and the B-side label, all color-printed on transparency material. The tape will be available for purchase two ways: starting tomorrow, half of the tapes will be listed as a new reward for a $15 US-shipping/$20 Int'l-shipping on the You Are Here Festival Kickstarter, which help supports both the New York incarnation of the festival, and a Berlin installation coming in the fall. Please note this will the only way to order the tapes online! The other half of the run will, of course, be for sale in the Maze. Be on the look out for track streams and new details about The Maze Mixtape in the coming weeks!